Upset stomach or Dyspepsia is a stomach disorder associated with indigestion. It is recognized by pain in your abdomen, and abdominal fullness. It is accompanied by nausea, heartburn, bloating and irritating gases. 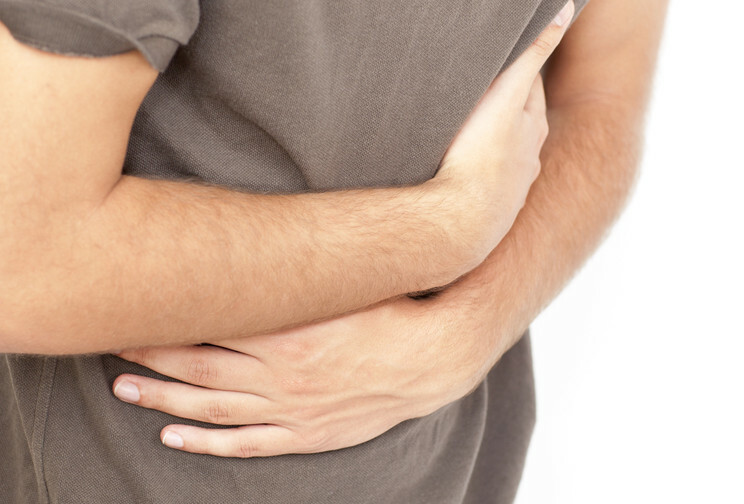 Upset stomach causes are eating too much or too fast. It could even be the outcome of other serious ailments, like ulcers, gastrointestinal disease, gastritis or bowel syndrome. Temporary stomach ache which is not that bad and can be alleviated by dietary changes. Dyspepsia can be further aggravated by the intake of coffee, citrus fruits, fatty foods, onions, alcohol and chocolate. It can even turn out to be a symptom of peptic ulcer disease. Indigestion: It is an upper abdomen ache and burning, stuffed stomach after a meal, bloating and wind. Reflux Oesophagitis: It is characterized by moving up of stomach acid to the gullet causing heartburn or a taste of bile in the mouth. Gastric Ulcers: Its symptoms are weight loss and black stools and are caused by bacteria called helicobacter pylori. Irritable bowel syndrome: It is associated with a pain that is aggravated by eating. Characterized by bloating, gas and constipation. Gastritis: It is a soreness of the stomach lining, causing pain, irritation and upset stomach. Food poisoning:When food is infected with viruses or bacteria, it causes stomach aches, nausea, vomiting or fever. Excessive eating and drinking:Creates indigestion. Eating specific types of food:Oily, spicy and fatty food leads to indigestion or upset stomach. Travelling sickness: It causes cramps and mild fever. Upper abdominal pain (above the navel) together with muscular spasms, uneasiness and swelling in the abdominal area are the most recurring symptoms of an upset stomach. Nausea is also frequently observed among people with stomach ulcers and gastritis. Diarrhea usually occurs along with upset stomach. Bloating occurs as a result of excessive buildup of gas which leads to the swelling of stomach (abdominal distention) and pain. Belching also recognized as burping, forces out the gas from the stomach via mouth. Mint provides fast relief from an upset stomach. It can either be chewed raw or can be used to make tea. Peppermint oil is also very effective and is present in most chewing gums. Ginger helps in treating nausea and upset stomachs. Ginger tea is very effective for pregnant women. Powdered ginger in water and 2 ginger root capsules taken 3 times a day help soothe an upset stomach. Cinnamon sticks available at all grocery stores can be added in tea with a teaspoon of honey (for sweetness). Its aroma can also be sniffed, which aids in settling the stomach. A Cinnamon candle or oil can also be used. Green teabags or liquid extract of green tea is widely available. A tea bag or a few drops of extract can be added to a glass of water. Green tea helps to alleviate bloating and gas and creates a sensation of relaxation. Nausea patients can find immediate relief by sipping chamomile tea. It settles down the stomach. Licorice root has a similar function as that of mint. It is originally sweet and makes a nice herbal tea. These home herbal remedies should do the trick to cure your upset stomach. Should you have any more problems consult your local herbalist.